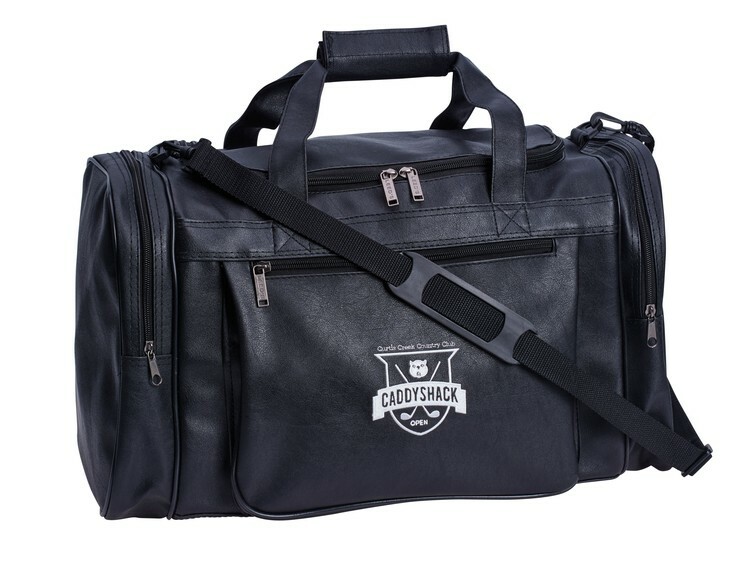 This carry all duffel features a zippered main compartment and zippered end pockets with organizers and wet pockets. Gusseted front pocket highlights your custom logo. Bottom board with feet and a detachable shoulder strap complete this all around duffel. A must have for the gym enthusiast or frequent flyer.